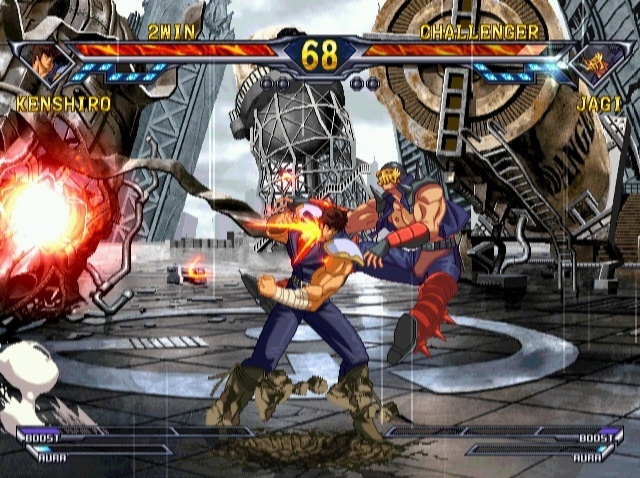 STORY: Set in a post apocalyptic world where the Earth is barren and the strong survive by preying on the weak, the series follows the journey of Kenshiro, the successor of Hokuto Shinken, "Divine Fist of the North Star", a secret martial arts style that allows its practitioner to destroy an opponent's body from within by striking into their secret channeling points, often resulting in a violent and gruesome death. 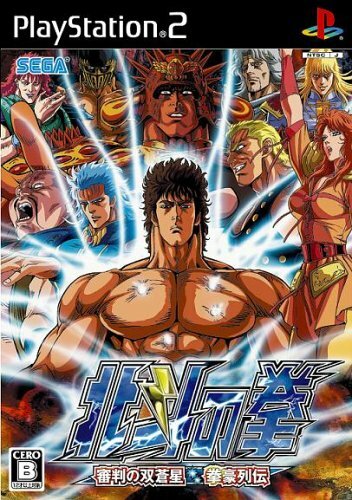 Kenshiro uses his skills to protect the weak and innocent against the numerous villains that threaten their survival. 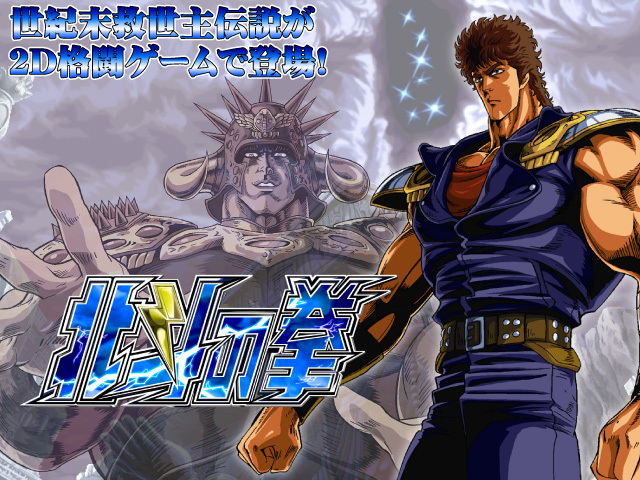 That Fist of The North Star art style is fire. 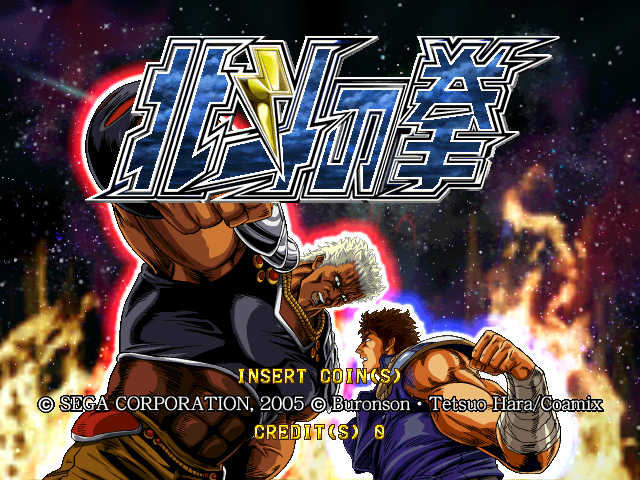 ABOUT: Hokuto No Ken (known as Fist of the North Star in America) is a 2D fighter made by Arc System Works, best known for their amazing work on the Guilty Gear series. 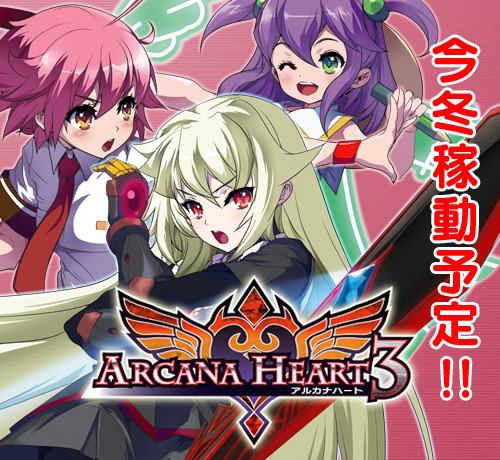 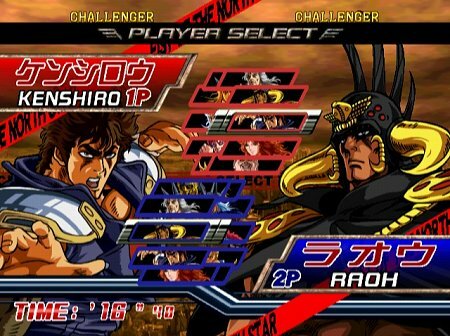 The game is based on the first half of the original manga (vol. 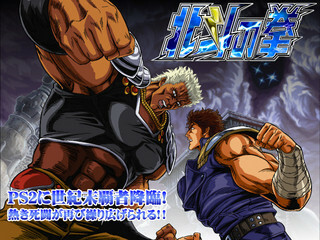 1-16), using the characters as they were depicted in the 1980's anime series. 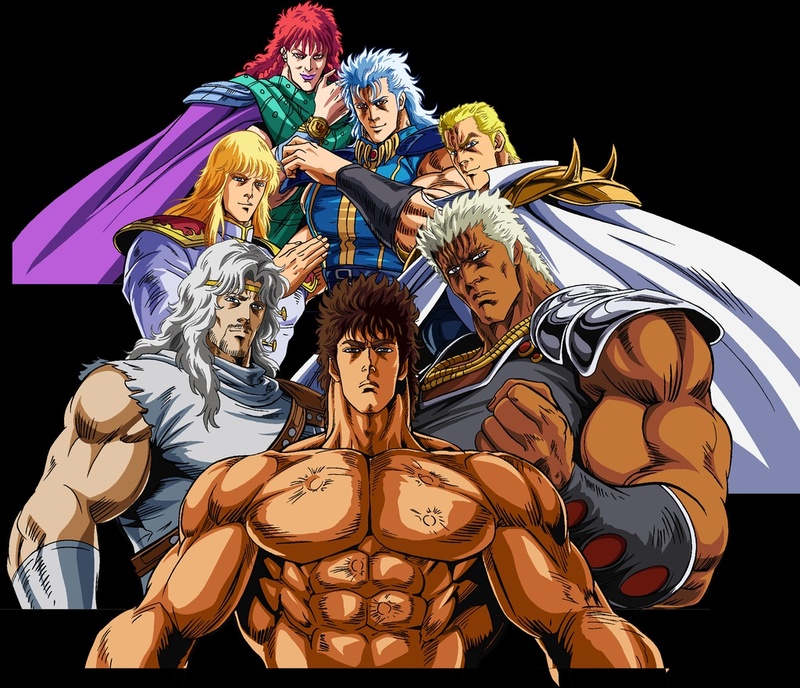 The voices of the playable characters are all performed by the original voice actors from the anime, with the exception of Kenshiro and Rei, whom are both played by new actors. 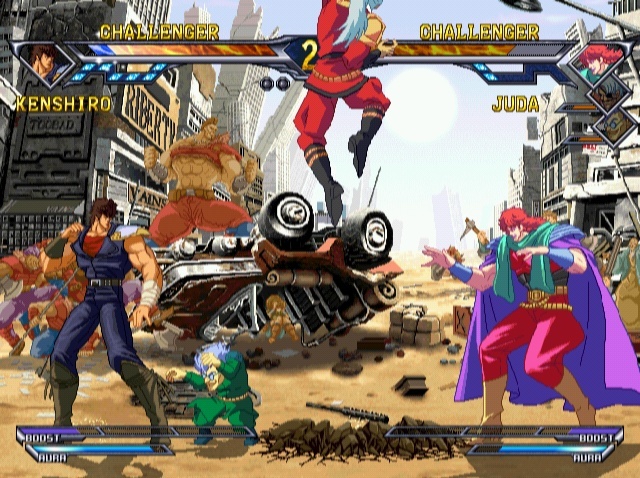 High-res sprites from the team that brought you Guilty Gear. 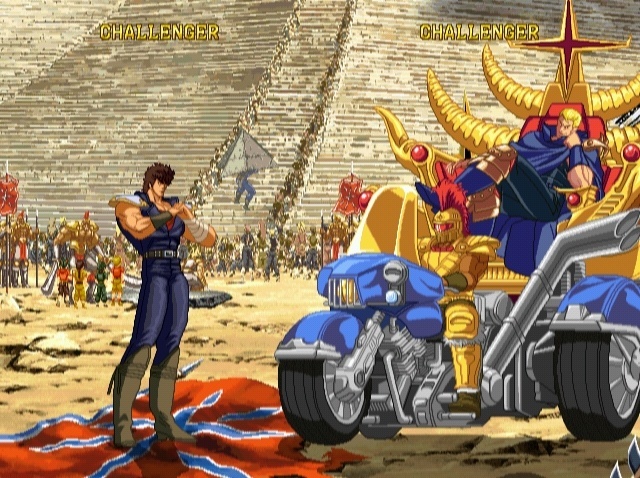 Every player has a Seven Stars Gauge. 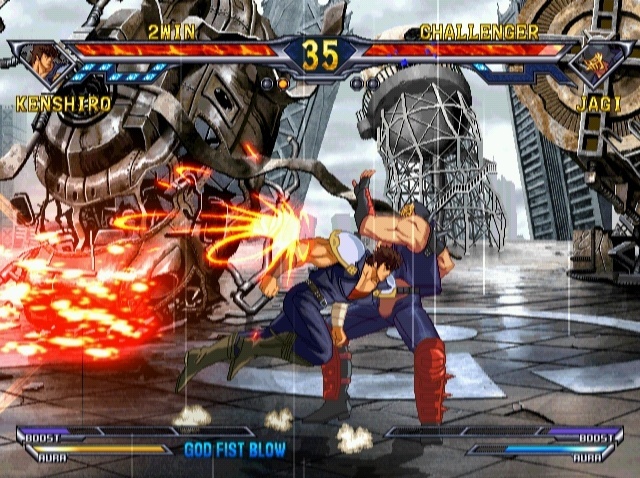 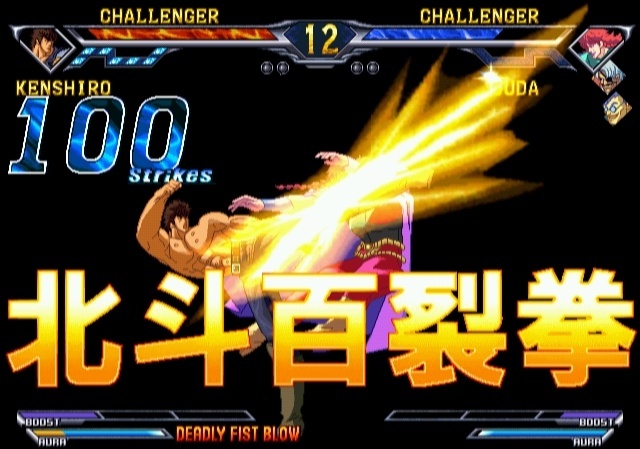 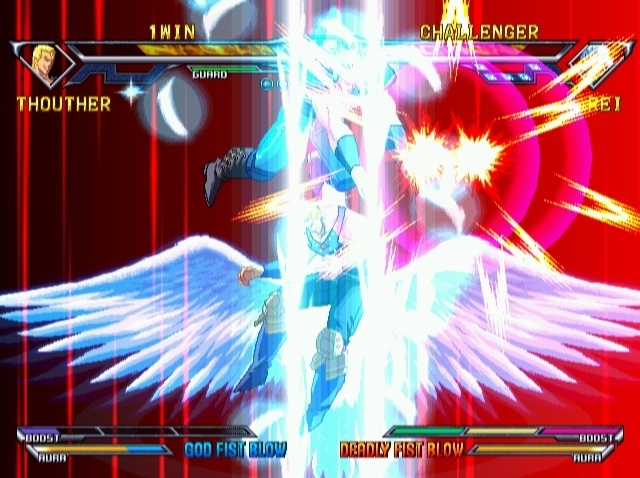 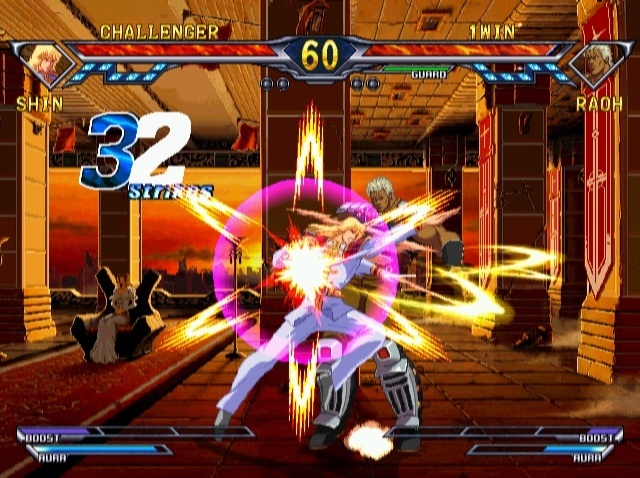 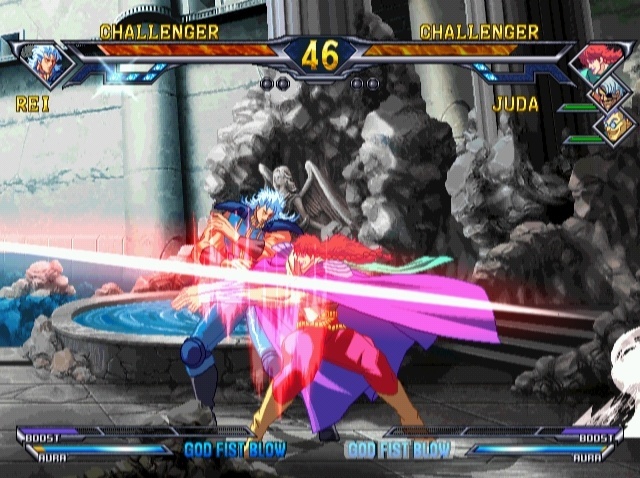 By performing attacks, the gauge can be lowered and once empty, a final "death star" will light up and the enemy player can perform a "Fatal KO technique" that finishes of the opponent similar to the "Instant Kill" moves from Guilty Gear. 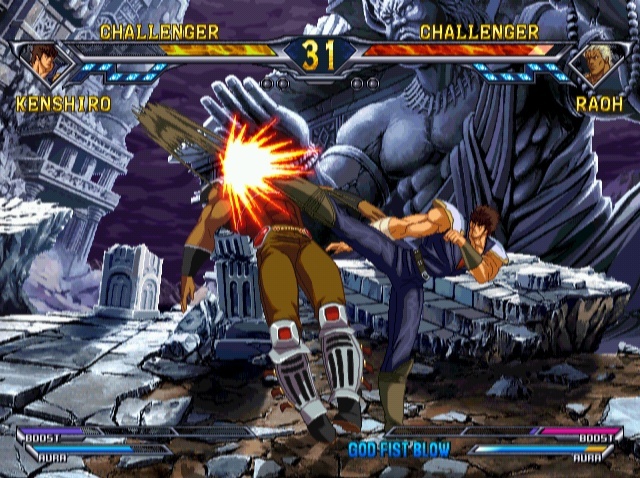 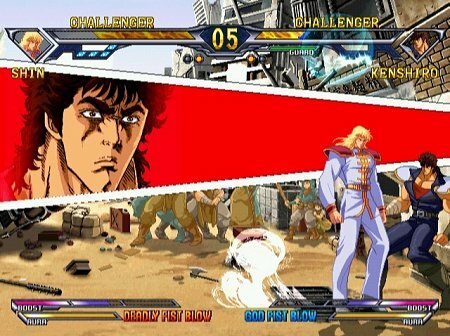 Unlike in Guilty Gear, where you could boost any number of times, Hokuto no Ken has a gauge that limits the number of boosts a player can perform, however, the boost is much more powerful than the one in Guilty Gear.